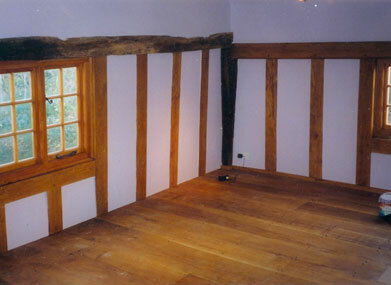 In 1999 we were asked to look at some poor quality repairs carried out on this recently purchased house. 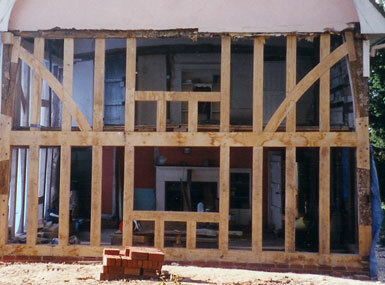 Not only did we have to redo the other company's work, we also discovered that the frame was actually in a terrible condition (not picked up on the survey) after years of neglect and an unhealthy coating of cement to the exterior. 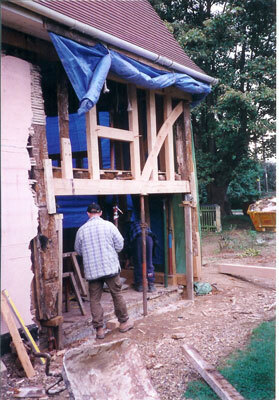 Some of the frame was Elm, a species particularly susceptible to decay (given the right conditions), and sadly many areas of the frame had to be rebuilt. 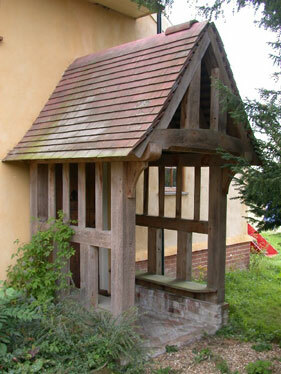 Upon completion we added a new oak porch.